Waylon Arnold Jennings (born June 15, 1937 in Littlefield, Texas, died February 13, 2002 in Chandler, Arizona), was an American country music singer, musician, and actor. A self-taught guitar player, he rose to prominence as a bass player for Buddy Holly following the break-up of The Crickets. He escaped death in the February 3, 1959 plane crash that took the lives of Buddy Holly, Ritchie Valens, and The Big Bopper when he gave up his seat to the latter. By the 1970s, he had become associated with so-called "outlaws," an informal group of musicians who worked outside of the Nashville corporate scene. A series of duet albums with Willie Nelson in the late 1970s culminated in the 1978 crossover hit, "Mamas Don't Let Your Babies Grow Up To Be Cowboys". In 1979, he recorded the theme song for the hit television show The Dukes of Hazzard, and also served as the narrator ("The Balladeer") for all seven seasons of the show. He continued to be active in the recording industry, forming the group The Highwaymen with Willie Nelson, Johnny Cash, and Kris Kristofferson. Jennings released his last solo studio album in 1998. In 2001, he was inducted into the Country Music Hall of Fame. Jennings was born in Littlefield, Texas, the son of Lorene Beatrice (n?e Shipley) and William Alvin Jennings. When Waylon was eight, his father taught him how to play guitar, and Waylon formed his first band two years later. During his time working as a DJ, he befriended Buddy Holly. The two were inspired by the music of the Mayfield Brothers of West Texas, Smokey Mayfield, Herbert Mayfield, and Edd Mayfield. When he was twenty-one, Jennings was tapped by Holly to play bass in Holly's new band on a tour through the Midwest in early 1959. Holly also hired guitarist Tommy Allsup and drummer Carl "Goose" Bunch for the "Winter Dance Party" tour. During the early morning hours of February 3, 1959, the charter airplane carrying Buddy Holly, Ritchie Valens and J.P. Richardson (aka "The Big Bopper") crashed outside Clear Lake, Iowa, killing all on board. In his 1996 autobiography, Jennings admitted that in the years afterward, he felt severe guilt and responsibility for the crash. After Jennings gave up his seat, Holly had jokingly told Jennings, "I hope your ol' bus freezes up!" Jennings shot back facetiously, "Well, I hope your ol' plane crashes!" After several years of inactivity, during which time he moved from Texas to Arizona and continued working in radio, Jennings began performing and recording again, this time in Phoenix, Arizona. He performed at a newly opened nightspot called JD's. He signed a contract with Herb Alpert's newly formed A&M Records, and he had a few hit singles on local radio in Phoenix, including "Four Strong Winds" ( written by Ian Tyson) and "Just To Satisfy You" (co-written with Don Bowman). He also recorded an album on the BAT label called simply JD's. 500 copies were pressed and sold at the nightclub, and after they sold out, another 500 copies were pressed by the Sounds label. He also played lead guitar for Patsy Montana on a record album she recorded in Arizona in 1964. Duane Eddy and Bobby Bare recommended Jennings to producer Chet Atkins, who signed Waylon to RCA Victor. Bobby Bare did his own cover of "Four Strong Winds" after hearing Jenning's version. Still under contract to A&M, Alpert released him, allowing him to sign with RCA Records. Jennings packed up and moved to Nashville, Tennessee in 1965. Jennings was accustomed to performing and recording with his own band, The Waylors; this was a practice that was not encouraged by Nashville producers who controlled nearly every aspect of recording. Over time, however, Jennings felt limited by the Nashville Sound and the lack of artistic freedom that came with it in the 1960s country music industry. His second marriage was to Lynn Jones. He got married for a third time to Barbara Rood. He married for the fourth and final time to Jessi Colter in 1969. Colter (then known as Miriam Eddy) had been married to guitar legend Duane Eddy. With help of Jennings, Colter became a country singer in her own right for a brief period of time during the 1970s, best-known for her 1975 Country-Pop smash, "I'm Not Lisa". Jennings had been growing more frustrated with the Nashville recording scene, and a 1972 bout with hepatitis almost killed him. With his recording contract nearing an end, RCA had already lost another creative force that year: Jennings had met Willie Nelson, who had likewise been frustrated by the lack of freedom in the studio and by the entire Nashville ethos, which led him to relocate his base to Texas two years earlier. Jennings was seriously considering leaving Nashville and returning to a broadcasting career in Phoenix that year. Two things came along to turn Jennings' hard times around. The first was a business manager from New York City named Neil Reshen, and the second was his old friend Willie Nelson. Reshen approached Jennings, still recovering from hepatitis, and offered to re-negotiate his recording and touring contracts. Jennings agreed, and the contract re-negotiation began in earnest. At a 1972 meeting in a Nashville airport, Jennings introduced Reshen to Nelson. By the end of the meeting, Reshen was manager to both singers. By that time, Jennings was aware of the fact that rock bands had almost unprecedented creative freedom to record what they wanted to record, with or without a producer and even to design their album covers. He wanted similar freedom for himself?an unprecedented move in 1972 Nashville. Also in 1972, RCA issued Ladies Love Outlaws, an album that Jennings never wanted released. Nevertheless, the title track is often considered the first song of the outlaw country movement. Reshen drove a hard bargain, but RCA finally agreed to his terms: a $75,000 advance and near-complete artistic control. Re-negotiations of his touring contracts yielded similar positive results, and he began turning a profit from his touring (almost unheard-of in Nashville at that time). Waylon finally had a rock star recording contract, and he looked the part; Reshen had advised him to keep the beard he had grown in the hospital, in order to cultivate a more rock and roll image. By 1973, Nelson had returned to the music industry under the auspices of Atlantic Records, and was on his way to music superstardom. Now based in Austin, Texas, Nelson had made inroads into the rock and roll press by attracting a diverse fan base that included the young rock music audience. Atlantic Records had signed Nelson when the time was right, and they were looking to sign Jennings as well. Nelson's rise to popularity made RCA nervous about losing another hot artist, which gave Jennings the leverage he needed in his contract re-negotiations. He followed with Lonesome, On'ry and Mean and Honky Tonk Heroes in 1973, the first albums recorded and released under his own creative control. The albums were huge commercial and critical successes. More hit albums followed, with The Ramblin' Man and This Time, in 1974, and Dreaming My Dreams in 1975. The pace of recording and performing was lucrative but grueling. In 1976, Jennings came up and helped an old friend of his who was concerting in Toronto, Canada. The friend's guitarist was out sick, and Jennings "Had a week free in Nashville", so he came to help. The friend consented on the condition that they sing together. The friend was his former roommate Johnny Cash. In 1976, Jennings began his career-defining collaborations with Nelson on the compilation album Wanted: The Outlaws!, country's first platinum record. The following year, RCA issued "Ol' Waylon", an album that produced another huge hit duet with Nelson, "Luckenbach, Texas (Back to the Basics of Love)". Waylon and Willie followed in 1978, producing their biggest hit with "Mamas Don't Let Your Babies Grow Up to Be Cowboys". He released I've Always Been Crazy in 1978, followed with a "greatest hits" album in 1979. 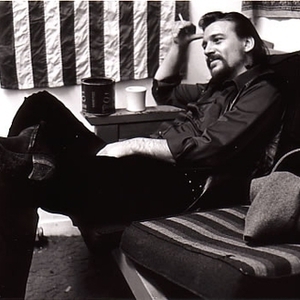 Around the same time Jennings fathered two sons with two different women, one who later came to be known as Edgar McCarson who took the last name of his step father, and Waylon Albright Jennings better known as Shooter Jennings who played the role of his father in the Walk the Line Movie of 2005. By the early 1980s, Jennings was completely addicted to cocaine. His personal finances had again unraveled, leaving him bankrupt, though he insisted on repaying every penny and did additional tours to satisfy the debt. His work became less focused, and his tours had progressed into full rock and roll-type excesses. In a widely publicized case, he was arrested in 1977 for cocaine possession by federal agents, though due to almost comedic errors by the DEA, the charges were later dropped. The episode was recounted in Jennings' song "Don't You Think This Outlaw Bit's Done Got Out Of Hand?" Jennings decided that it was finally time to clean up, at least for a little while. He underwent the detox process, intending to start using cocaine again in a more controlled fashion afterward. By Jennings' own admission in interviews, his son, Shooter Jennings, was the main inspiration to stay off of cocaine permanently. In 1984, he went "cold turkey" to end his cocaine addiction for good. His later life was plagued with health problems including a heart attack and diabetes brought on by a voracious appetite that developed after he beat his cocaine habit. Despite these problems, Jennings remained free from cocaine and continued recording and touring throughout the 1980s and 1990s, and into the new millennium. Jennings performed his final concert in late fall of 2001. According to the sleeve notes on the album "The Crickets and their Buddies", Jennings final recording session was his contribution to that album, where he provided the lead vocal for the Buddy Holly classic "Well All Right." Outside the music industry, Jennings was also known as the voice of the narrator on the popular television series "The Dukes of Hazzard" and its predecessor, the 1975 film, "Moonrunners". The theme song, "Good Ol' Boys", an original Jennings composition, is one of the most well-known television theme songs in American television history. He also made an appearance on "Married... with Children" and had a role in the 1985 film, Sesame Street presents Follow That Bird as a truck driver. Jennings sang "Ain't No Road Too Long" in the movie with Big Bird, and the other "Sesame Street" characters. Jennings was also a member of USA for Africa for the recording of "We Are the World", but temperamental as ever, reportedly left the studio due to a dispute over the song's lyrics. In the early 70's, after Cash's guitar player fell ill while on tour in Canada, Waylon flew up from Nashville, where he had a free week, and filled in. Afterwards, after several solos and duets, Jennings refused to take payment for it. In the mid-1980s, Johnny Cash, Kris Kristofferson, Nelson, and Jennings formed a successful group called The Highwaymen. Aside from his work with The Highwaymen, highlights from his own career include WWII with Willie Nelson in 1982, Will the Wolf Survive in 1985, The Eagle in 1990 and Too Dumb for New York City, Too Ugly for L.A. in 1992. During the early 1990s, Jennings became good friends with the members of the group Metallica. He had also become very close to Metallica frontman James Hetfield, and influenced some material for their 1996 album Load. In 2003, James Hetfield was featured on the tribute album I've Always Been Crazy: A Tribute to Waylon Jennings, covering Jennings' "Don't You Think This Outlaw Bit's Done Got Out of Hand?" In 1998, Jennings teamed up with Bobby Bare, Jerry Reed and Mel Tillis to form The Old Dogs. The group recorded a double album of songs penned entirely by Shel Silverstein. In July, 1998, the Old Dogs, Volumes 1 and 2 were released on the Atlantic Records label. A companion video, as well as a Greatest Hits album (composed of previously released material by each individual artist), were also available. In mid 1999 Jennings assembled what he referred to as being his "hand-picked dream team" - forming Waylon & The Waymore Blues Band. Consisting primarily of former Waylors, the thirteen-member group performed a limited number of concerts at select venues from 1999 to 2001. The highlight of this period was the January 2000 recording, at Nashville's historic Ryman Auditorium, of what would become Jennings' final album, Never Say Die: Live. An abbreviated album, composed of 14 tracks, was released in October 2000. A special edition box set, including all twenty-two tracks on two audio CDs, as well as a DVD with the complete concert and bonus features, was released on July 24, 2007 from Legacy Recordings. In an episode of The Angry Beavers entitled The Legend of Kid Friendly that aired in April of 1999, Jennings provided the voice for the narrator/singer. Some time during 2001, Jennings provided his voice in an episode of Family Guy during a Dukes of Hazzard parody (which would end up being his last televised appearance). The episode was entitled To Love and Die in Dixie. The episode originally aired in November of that year. He also narrated a watch fight in an earlier episode, Chitty Chitty Death Bang. In October 2001 Jennings was finally inducted into the Country Music Hall of Fame. In one final act of defiance, he did not show up to accept the award, opting instead to send his son Buddy Dean Jennings in his place. Jennings suffered from worsening diabetes that had ended all but abbreviated touring. On December 19, 2001, his left foot was amputated in a Phoenix, Arizona hospital due to infection arising from his diabetes. Then, on February 13, 2002, Jennings died in his sleep of diabetic complications in Chandler, Arizona. He is interred in the Mesa City Cemetery, Mesa, Arizona. In the 2005 Academy Award-winning Johnny Cash biopic Walk the Line, Waylon was portrayed by his son, Shooter, as a tribute to him, though the younger man's shoulder-length hair and beard made him look nothing like how his father had appeared at the time (circa 1966) when Cash and Jennings shared an apartment outside Nashville. Shooter also plays his father in a scene set several years previously; for this scene he did cut his hair and shave, heightening the resemblance to Waylon. On March 22, 2006, Jennings' mother Lorene Beatrice (n?e Shipley) Jennings died in Littlefield, Texas, at the age of 84. On July 6, 2006, Jennings was inducted to Hollywood's Rock Wall in Hollywood, California along with former bandmate Kris Kristofferson. In 2006 Jennings received a tribute from John Schneider, Tom Wopat and Catherine Bach (Bo, Luke and Daisy Duke). Waylon composed the theme song Theme from "The Dukes of Hazzard" (Good Ol' Boys) and was also the Balladeer (narrator) on the show. Schneider, Wopat and Bach reworked the theme song, added to it and re-recorded it. They also made a video for the song which is on the 7th season Dukes of Hazzard DVD set. The song ends with Daisy (Catherine Bach) saying "we love you Waylon" as the music fades out. This project was done with the blessing of Waylon's widow, Jessi Colter. On June 20, 2007 Jennings was posthumously awarded the Cliffie Stone Pioneer Award by the Academy of Country Music. Jennings' son, Shooter Jennings accepted the award on his late father's behalf.